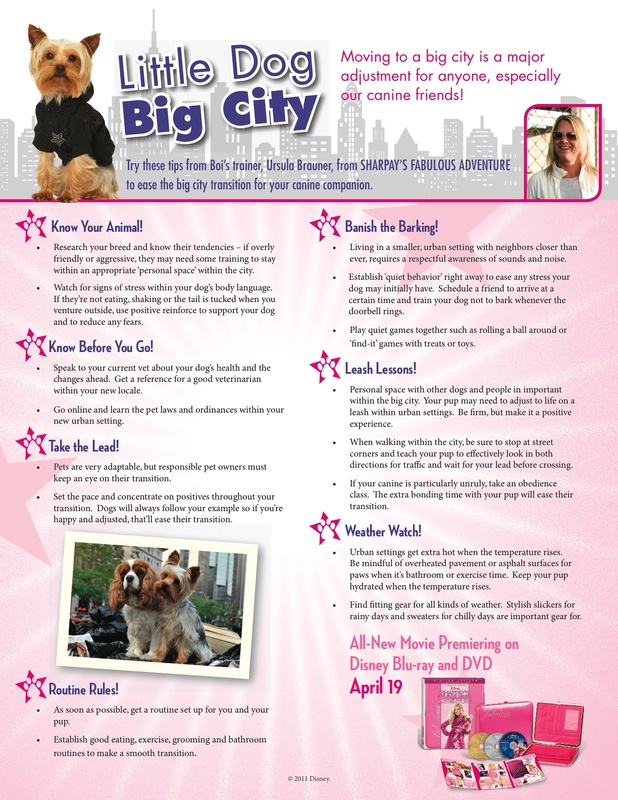 Sharpay's Fabulous Adventure DVD Release on 4/19 is only a few days away! I watched the DVD and it was cute. Lots of music and Dogs! My son was dancing to the music and shouting "DOG" every time he saw Sharpay's dog. Sharpay is spoiled and has to get use to the life on her own no maid, no chef and no money. Her dog is not allowed in place she was going to live so she has to make new plans. ( that happens to us all in life, we make plans and the world changes them for us!) There is a love interest in this movie of Sharpay's moms friends son who is a amateur film maker. I will not say too much more as to not spoil the movie for anyone. Its really cute and one of those movies where there is a happy ending! Disney movies are always great! THERE WERE NO DOGGIE DISASTERS! ASHLEY CELEBRATED HER BIRTHDAY ON THE SHARPAY SET! THE NEW MOVIE IS VERY DIFFERENT TO HIGH SCHOOL MUSICAL! ASHLEY’S MOM JOINED HER ON THE SET! THE NEW DVD IS CRAMMED WITH EXTRAS! “There are lots of fun extras on the DVD and Blu-Ray discs for Sharpay’s Fabulous Adventure,” giggles Ashley. “There are behind-the-scenes features on the making of the movie, as well as a piece on the evolution of Sharpay’s wardrobe." A $8 off coupon for this DVD is available here. Its always great to save money on DVDs. It leaves more money for popcorn! 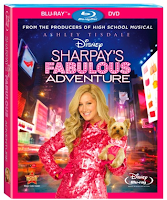 ** I was provided a copy of Sharpay's Fabulous Adventure to review for my post. I was not paid or compensated. The extra info about behind the scenes was provided by Walt Disney Studios Home Entertainment.